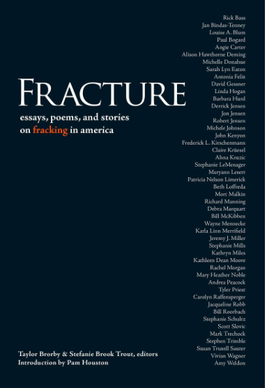 Fracture: Essays, Poems, and Stories on Fracking in America brings together the voices of more than fifty writers exploring the complexities of fracking through first-hand experience, investigative journalism, story-telling, and verse. At a time when politics and profits inhibit our ability to have meaningful discussions about the hazards of fracking, these creative perspectives are needed to ignite the national conversation about how we can live with more compassion toward Earth. Come to listen to Alison Hawthorne Deming, Debra Marquart, Kathryn Miles, and Taylor Brorby read from this just released anthology. Please join us for an evening with authors Debra Marquart, Alison Hawthorne Deming, Kathryn Miles, and Taylor Brorby for a reading from this just-released anthology. There will be a wine / hors d’oeuvres reception at the NDMOA beginning at 5 pm, and the reading is scheduled to begin at 6 pm. Join us for a reading from this just-released anthology. Alison Hawthorne Deming, Debra Marquart, Kathryn Miles, and Taylor Brorby will read their work, followed by a Q&A. Please join us for a reading and Q&A for this just-released anthology. Alison Hawthorne Deming, Debra Marquart, Kathleen Dean Moore, and Taylor Brorby will read from the anthology. Please join us for a reading and Q&A for this just-released anthology. Alison Hawthorne Deming, Debra Marquart, Kathleen Dean Moore, Mark Trechock, and Taylor Brorby will read from the anthology. Reception to follow. Taylor Brorby is an award-winning essayist, poet, and environmentalist. A fellow at the Black Earth Institute, Taylor received his M.A. in Liberal Studies from Hamline University in 2013, and is currently pursuing his MFA in Creative Writing and Environment at Iowa State University. Taylor’s work has appeared in Rock, Paper, Scissors, The Englewood Review of Books, on Minnesota Public Radio, North Dakota Public Radio, numerous newspapers, Augsburg Fortress, On Second Thought, the Northern Plains Ethics Journal, Chelsea Station, The EcoTheo Review, Sleet Magazine, Bearings, High Country News, The Loft’s Writer’s Block, and the anthology Kissing in the Chapel, Praying in the Frat House: Wrestling with Faith and College. Taylor is currently writing A Vespers for Climate Change, working on two poetry collections, one related to the Bakken oil boom and the other about the Adirondacks in upstate New York, as well as an essay collection about western North Dakota. 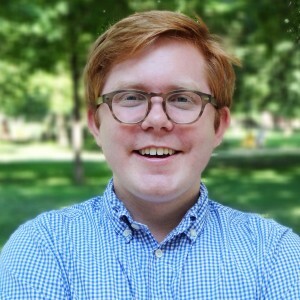 He is a blogger for The Huffington Post, where he writes on education and environmentalism.